Not to be confused with Lincoln, Arkansas. Lincoln County is a county located in the U.S. state of Arkansas. As of the 2010 census, the population was 14,134. The county seat is Star City. Lincoln County is Arkansas's 65th county, formed on March 28, 1871, and named for Abraham Lincoln, the 16th President of the United States. It is an alcohol prohibition or dry county. Lincoln County is included in the Pine Bluff, AR Metropolitan Statistical Area, which is also included in the Little Rock-North Little Rock, AR Combined Statistical Area. According to the U.S. Census Bureau, the county has a total area of 572 square miles (1,480 km2), of which 562 square miles (1,460 km2) is land and 11 square miles (28 km2) (1.9%) is water. As of the 2000 United States Census, there were 14,492 people, 4,265 households, and 3,130 families residing in the county. The population density was 26 people per square mile (10/km²). There were 4,955 housing units at an average density of 9 per square mile (3/km²). The racial makeup of the county was 64.88% White, 32.92% Black or African American, 0.40% Native American, 0.06% Asian, 0.01% Pacific Islander, 0.99% from other races, and 0.75% from two or more races. 1.81% of the population were Hispanic or Latino of any race. There were 4,265 households out of which 34.80% had children under the age of 18 living with them, 54.30% were married couples living together, 14.80% had a female householder with no husband present, and 26.60% were non-families. 23.50% of all households were made up of individuals and 10.60% had someone living alone who was 65 years of age or older. The average household size was 2.63 and the average family size was 3.11. In the county the population was spread out with 22.20% under the age of 18, 12.40% from 18 to 24, 33.20% from 25 to 44, 20.40% from 45 to 64, and 11.90% who were 65 years of age or older. The median age was 35 years. For every 100 females there were 142.30 males. For every 100 females age 18 and over, there were 154.70 males. The median income for a household in the county was $29,607, and the median income for a family was $35,408. Males had a median income of $28,890 versus $19,990 for females. The per capita income for the county was $12,479. About 15.50% of families and 19.50% of the population were below the poverty line, including 26.60% of those under age 18 and 17.90% of those age 65 or over. The Arkansas Department of Correction operates two prisons in unincorporated areas in the county. The Varner Unit is located in Varner, and the Cummins Unit is near Varner. 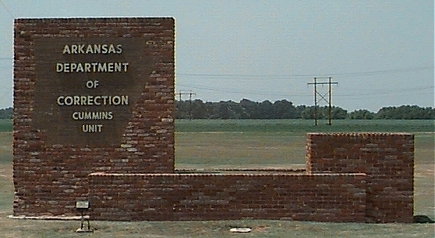 The Arkansas Department of Correction, which operates the Cummins Unit and the Varner Unit in Lincoln County, is one of the county's major employers. Previously the Gould School District and the Grady School District served portions of the county. On July 1, 2004, the Gould district merged into the Dumas district and the Grady district merged into the Star City district. Townships in Arkansas are the divisions of a county. Each township includes unincorporated areas and some may have incorporated towns or cities within part of their space. Townships have limited purposes in modern times. However, the US Census does list Arkansas population based on townships (often referred to as "minor civil divisions"). Townships are also of value for historical purposes in terms of genealogical research. Each town or city is within one or more townships in an Arkansas county based on census maps. The townships of Lincoln County are listed below with the town(s) and/or city that are fully or partially inside them listed in parentheses. ^ a b "State & County QuickFacts". United States Census Bureau. http://quickfacts.census.gov/qfd/states/05/05079.html. Retrieved May 23, 2014. ^ Gannett, Henry (1905). The Origin of Certain Place Names in the United States. U.S. Government Printing Office. p. 187. https://books.google.com/books?id=9V1IAAAAMAAJ&pg=PA187. ^ "Varner Unit." Arkansas Department of Correction. Retrieved on July 18, 2010. "28 miles south of Pine Bluff off Highway 65 in Lincoln County." ^ "Cummins Unit." Arkansas Department of Correction. Retrieved on August 15, 2010. ^ "New hearing ordered for 3 in Ark. scout deaths." Associated Press at the Worcester Telegram. Wednesday September 29, 2010. Retrieved on March 5, 2011. "Damien Echols is interviewed in the visiting area of the Arkansas Department of Correction Varner Unit prison in Varner,"
^ "Arkansas killer plans no more appeals He is to die Wednesday in '84 death of trooper." Associated Press at The Dallas Morning News. April 18, 1995. Retrieved on March 5, 2011. "[...] and he was transferred to the death watch cell at the Cummins Unit near Varner." ^ "Lincoln County." (Archive) Encyclopedia of Arkansas (Central Arkansas Library System). Last updated December 31, 2010. Retrieved on March 8, 2011. "The Arkansas Department of Correction is one of the major employers in Lincoln County, with the Cummins and Varner units both located outside of Grady." ^ "Consolidation/Annexations of LEA's (1983-2010)." Arkansas Department of Education. Retrieved on March 6, 2011. ^ U. S. Census Bureau. 2011 Boundary and Annexation Survey (BAS): Lincoln County, AR (Map). http://www2.census.gov/geo/pvs/bas/bas11/st05_ar/cou/c05079_lincoln/BAS11C20507900000_000.pdf. Retrieved 2011-08-18. This page uses content from the English language Wikipedia. The original content was at Lincoln County, Arkansas. The list of authors can be seen in the page history. As with this Familypedia wiki, the content of Wikipedia is available under the Creative Commons License.